“It is time, my Mother,” says the Lord, “to take you to myself. Just as you have filled the earth and all who dwell in it with joy, O you who enjoy such grace, come, and make the heavens joyful once again. Make my Father’s dwelling-place radiant; be a spiritual guide for the souls of the saints. For when they see your glorious passage here to my side, escorted by angels, they will be convinced in their faith that their own place, too, through you, will be to dwell here in my light. Come, then, in exultation; rejoice now, as you rejoiced at the angel’s greeting. In every way you now have the dignity of your title, ‘full of grace.’ As when you were about to conceive me you were invited to rejoice, so rejoice again in my desire to take you to myself. Do not be disturbed at leaving behind the corruptible world, with all its desires. Forget about its power of corruption. 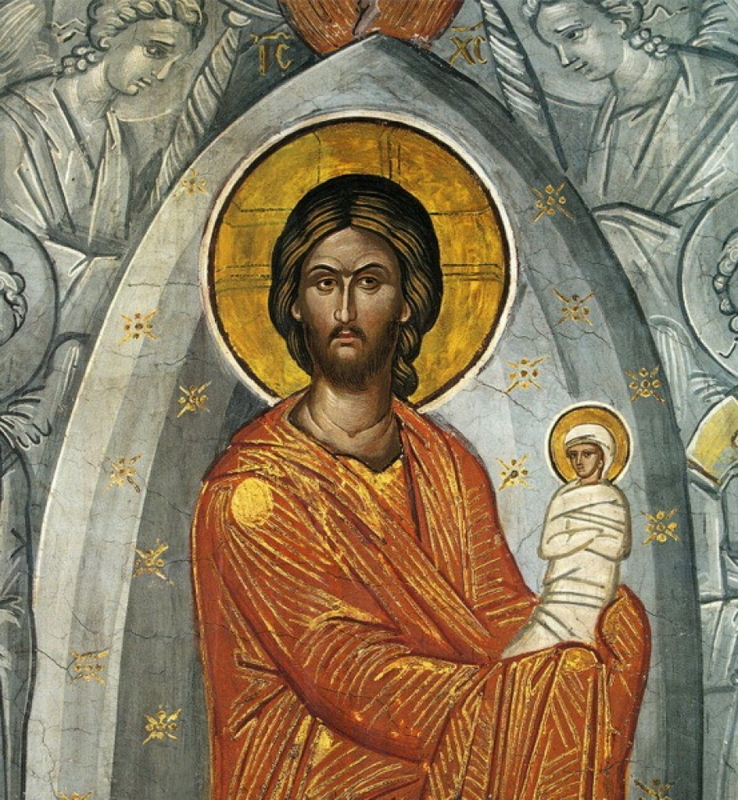 For you will not leave those who live in the world bereft of your protection; but just as I, who am not of the world, watch over those who live in it and take care of them, so your patronage will not be taken away from those who live in the world, until its consummation. “The extravagant demands of the flesh will no longer disturb you. You are ascending to a fuller life, to joyful rest, to unconquerable peace, to an existence untroubled by cares, to delights free of passion, to permanent freedom from distraction, to unending enjoyment, to a light that never fades, to a day without evening—to me, the creator of all that is, including you. Where I am, there is eternal life, incomparable joy, a dwelling-place without parallel, an indestructible city. Where I am, then, you will be also: a mother inseparably one with her undivided Son. Where God is, there is all goodness of heart, all delight, all brilliance. No one who knows my glory wants to abandon it. No one who comes to my rest seeks again the things of the corruptible world. Ask Peter if there was any comparison or likeness between the world and Mount Tabor, when he gazed for a short time on my glory. “When you lived in the world of corruptible things, I revealed my power to you in visions; now that you are passing from that life, I will show myself to you face to face. Give the earth what belongs to it, without anxiety. Your body belongs to me, and since the ends of the earth are in my hand, no one can take anything from me. Entrust your body to me, just as I placed my divinity trustingly in your womb. Your soul, full of divine power, will see the glory of my Father. You immaculate body will see the glory of his only Son. Your pure spirit will see the glory of the all-holy Spirit. 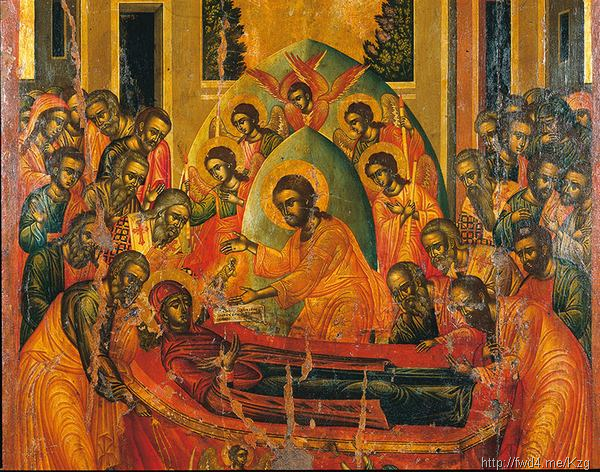 “Death shall make no boast at your expense, for you have given birth to life. You are my vessel; the mortal cracks caused by the fall shall not break you apart. The overshadowing gloom shall not rob you of sight. Come eagerly to the one whom you brought into the world. I want to make you happy, as a son should do—to pay you the pension due a mother’s womb, to recompense you for feeding my milk, to reward you for your nurture, to give your maternal love its full return. You begot me, Mother, as your only Son; now make the choice to come and live with me, for I know your heart is not divided by love for anther child. I revealed you as my virgin mother; now I will make you a mother who rejoices in her Son. I will show the world now to be your debtor, and when you come to me I will glorify your name still more. I shall build you into the wall of the universe, into a bridge for those who are awash in the waves, an ark of salvation, a staff for the disabled, an advocate for sinners, a ladder to heaven strong enough to bear the weight of all humanity as it climbs. “Come, then, with joy! Open up Paradise, which your ancestor Eve, your natural sister, had locked. Enter into the joy of your Son. 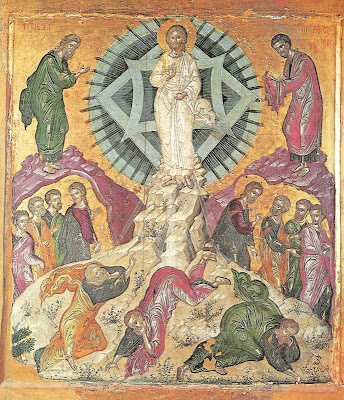 Let go of the Jerusalem that is below, and hasten up to the heavenly city; for the Jerusalem below, ‘lamentation will soon be multiplied,’ as Scripture has it, ‘like the lamentation for the pomegranate grove cut down in the plain’ (Zach 12:11 [LXX]). Lie down to rest, if only in appearance, in Gethsemane, the place of your tomb. I will not leave you alone there for long. I will come to you very quickly, when you have been buried in the sepulchre—not to dwell in you again by being conceived, as I once was, but rather to take you now to dwell with me. Rest your body confidently in Gethsemane, as once I rested my knees there in human prayer, before my passion. I gave you an image of your own death, bending on that very ground the knees I took from your body. 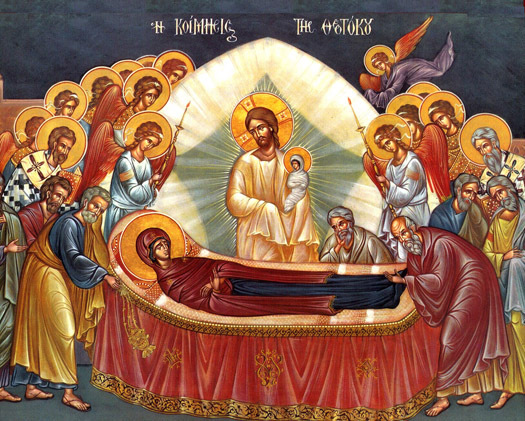 As I came forth willingly, then, after that prostration, to a death on the cross that was the source of life, you, too, will pass immediately into life when your remains have been laid in the earth. Georgios R...a graduate of the School of Physical Education of Greece (Gymnastics), was around 25 years old, when he came to know Christ and the Church more deeply, and began to live a perceptibly spiritual life. 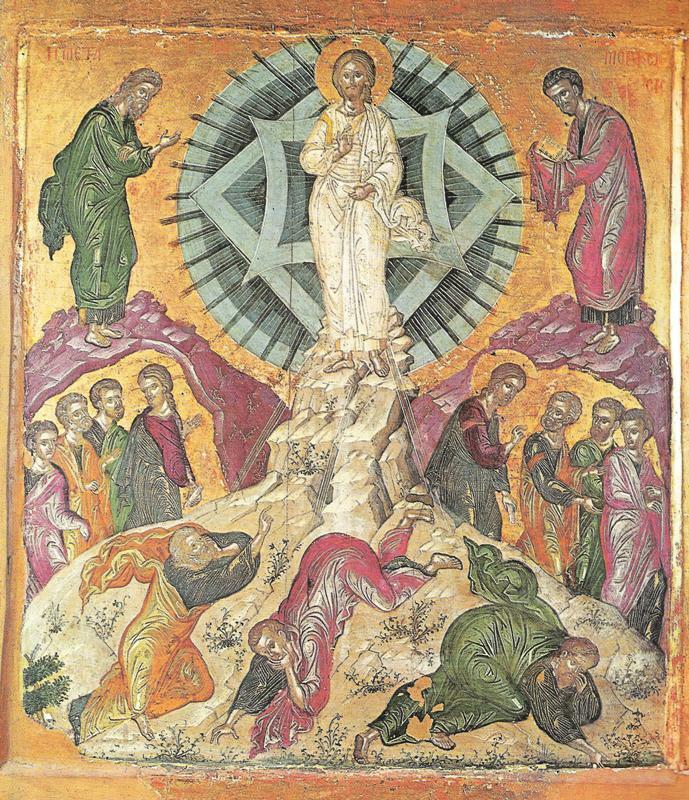 He especially came to love the ascesis of prayer, being present throughout the holy Services, Vigils and Divine Liturgies, and regularly partaking of the Spotless Mysteries. He was married to Stella K., the daughter of Fr. Konstantinos K...from a village of our Metropolis, with whom he had four children, and they furthermore struggle to make their home a church through their life in Christ. Georgios frequently went on pilgrimage with prayer to the various monasteries on Cyprus, in addition to the Holy Mountain. The Monastery of St. Nicholas Orountes, where St. Philoumenos is especially honored, became a favorite place of prayer. As is known, from the year 2000, according to the wishes of our holy Metropolitan of Morphou Neophytos, it was ordered that every year, on the day of the memory of St. Philoumenos (the evening of November 28 towards the 29th), a vigil should be served in his honor in the church of the Apostle Luke in his home village of Orounta. Last year (2012), Georgios was present at the vigil, who since 2010 was tried by the affliction of cancer, which he faced with much patience and faith. 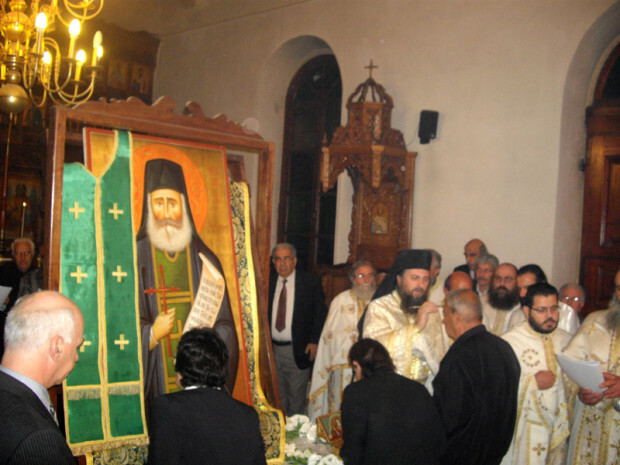 In the center of the church is placed a great icon of St. Philoumenos, along with a portion of his holy relic and one of his stoles, which was given from the Patriarchate of Jerusalem to the Holy Monastery of St. Nicholas Orounes, with the goal being to build a church in his honor at the Monastery. When they were chanting the Praises during the Orthros, together with the typikon of the vigil service, all of the clergy and the faithful began to venerate the icon and the relic of the Saint, being anointed by the priest with holy oil from his vigil lamp that was lit there. Then, a wondrous appearance of the Saint occurred. A simple, humble, and faithful person was made worthy to see this supernatural event that occurred during the vigil, and he himself was moved, and related it with faith and fervency to the Metropolitan after the vigil, who was celebrating during this festal vigil service. What occurred? When Georgios went to venerate the icon of the Saint, this pious Christian saw St. Philoumenos come out from his holy icon alive, and embrace the suffering Georgios, and them stand behind him with his hands on his shoulders as he was anointed with holy oil, and holding him, he led him back to his seat, at which point he disappeared! What a wondrous intervention of the Saint was communicated to the Metropolitan, and then to the suffering Georgios, and Fr. Konstantinos, who was also present at the vigil, along with numerous other clergymen. This appearance of the Saint was perceived as a sign, that through his intercessions, the sick Georgios would be healed. However, the path of his health did continue to worsen, and having born terrible, martyrical pains, he departed in the Lord on July 8, 2013. The martyrical end of this man of God, along with his wondrous faith, endurance and patience, was ultimately perceived as the deep spiritual message of the wondrous appearance of the Hieromartyr Philoumenos. With this was confirmed the favor of the Saint, along with the Lord, towards a pious member of our Church, who bore his cross in Christ until the end, showing a witness to Christ with his virtuous life, and being numbered a martyr of Christ. Because martyrdom is not just the shedding of blood by someone for the love and faith in Christ, but for a Christian to accept with his whole soul, with thanksgiving and the offering of a mindset that gives glory, whatever trial the Lord allows, as he passes through the valley of trials, worries, illnesses, being orphaned, the death of one's beloved, etc. In other words, whatever makes one dead to this world, becomes a Cross, if he accepts it, and it is thus a visitation and a gift of God for the salvation of his immortal soul, making him to be a partaker of the Passion of Christ, but also His Resurrection. 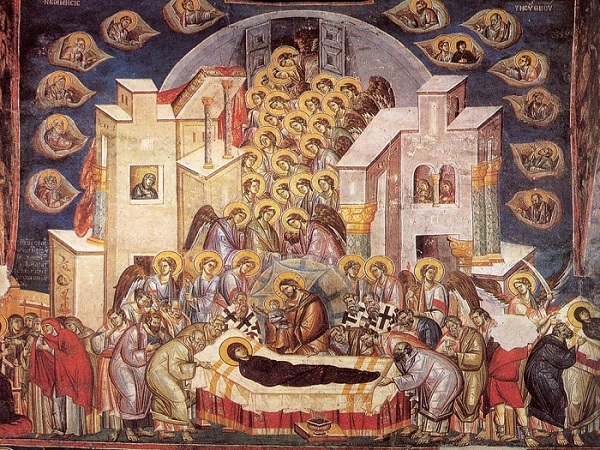 Therefore, St. Philoumenos did not heal the body of Georgios, but he showed something much greater: he strengthened this man, with the martyrical boldness of his prayer, to endure until the end of this passing life, the painful martyrdom of his sickness (the greatly-suffering body of Georgios was truly filled with tumors, internally and externally), and taking him with him into eternity as his fellow martyr, before the throne of God.